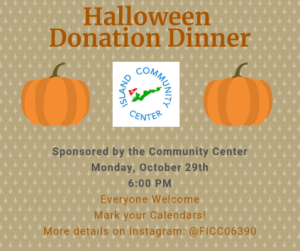 The Community Center continues its tradition of hosting dinners for the community with its Halloween Donation Dinner on Monday, October 29th at 6:00 PM at the Community Center. 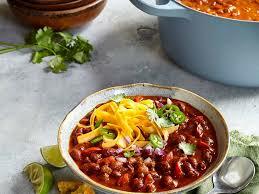 We will be serving traditional chili, rice, green salad, corn bread, and lots of treats for dessert. Children are encouraged to wear their Halloween costumes and bring a pumpkin to paint. Mark your calendars. Bring your family. Everyone is welcome! There is no cost to the Donation Dinner; but a donation jar is available for anyone who would like to help contribute. Please RSVP to the ICC 788-7683 so our talented chefs can get a head count!